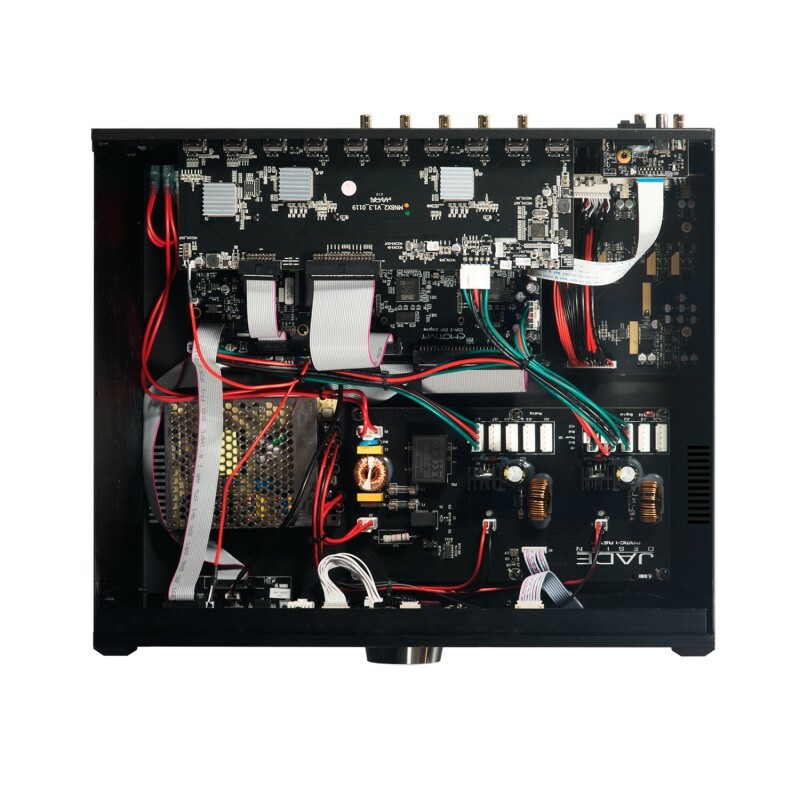 The RMC-1 is a state-of-the-art surround sound processor - designed from the ground up to serve as the nerve center of a modern home theater or surround sound music system. The bit-perfect video switches in the RMC-1 ensure that you’ll get the best possible image quality from the latest HDR and Dolby Vision 4k UHD discs, and the advanced audio decoding engine, audio processing hardware, and room correction options guarantee you true audiophile sound quality and performance. Unlike other surround sound processors, the RMC-1 is not only a superb home theater processor, but also a true audiophile stereo component. When we set out to design the RMC-1 we had some relatively lofty goals. 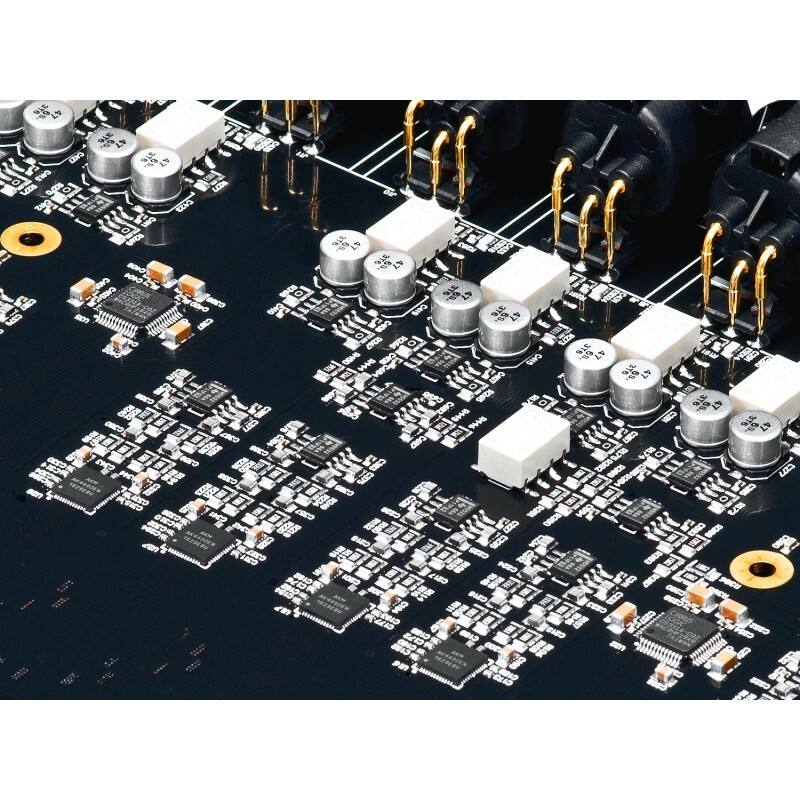 We wanted to design a processor that would support the latest Dolby Atmos and DTS:X object oriented surround sound formats, with plenty of channels to fulfill the needs of our most demanding customers, and sound quality and performance equal to or better than the best stereo equipment currently on the market. And, along with that, it had to deliver superb bit-perfect picture quality, and support the latest HDR and Dolby Vision 4k UHD video content. And, finally, it had to be relatively simple to configure and operate, so that our customers would actually be able to take full advantage of its advanced performance and capabilities. 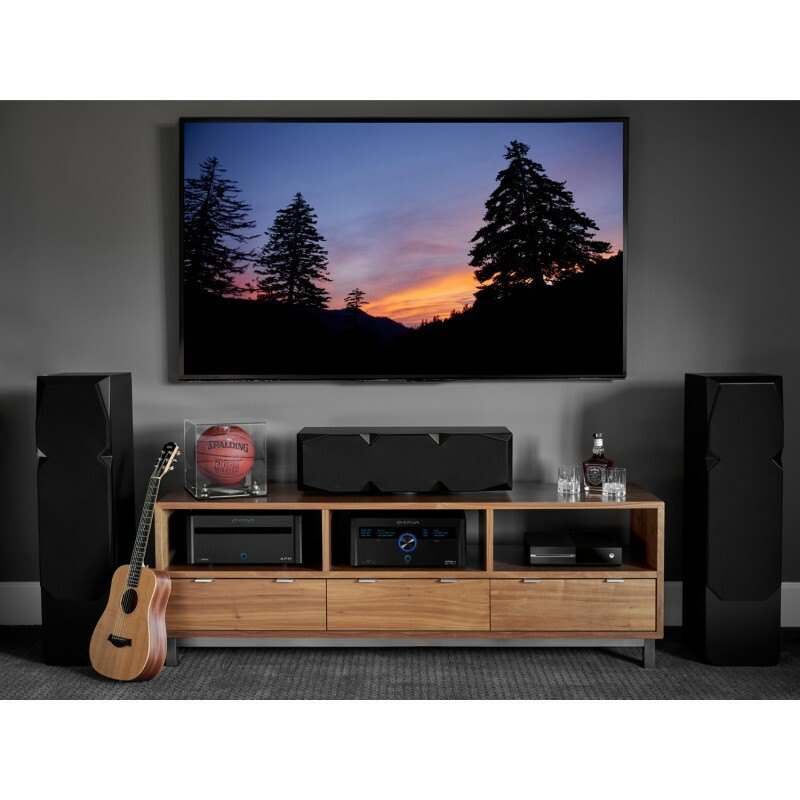 Designing a surround sound processor that includes all of the features you need in a modern home theater system, while still delivering superb sound quality, is a truly formidable undertaking. 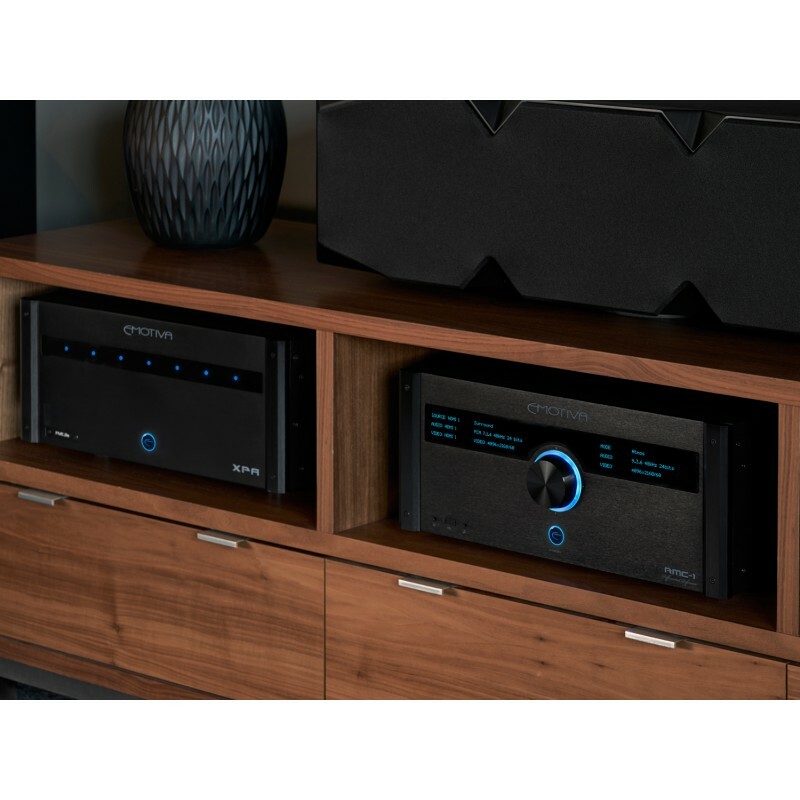 Most AV receivers and pre/pros offer plenty of features, but include serious compromises in sound quality. And most audio gear that offers true audiophile sound quality is limited to stereo, and offers very few features. Our plans called for a platform that could deliver both. 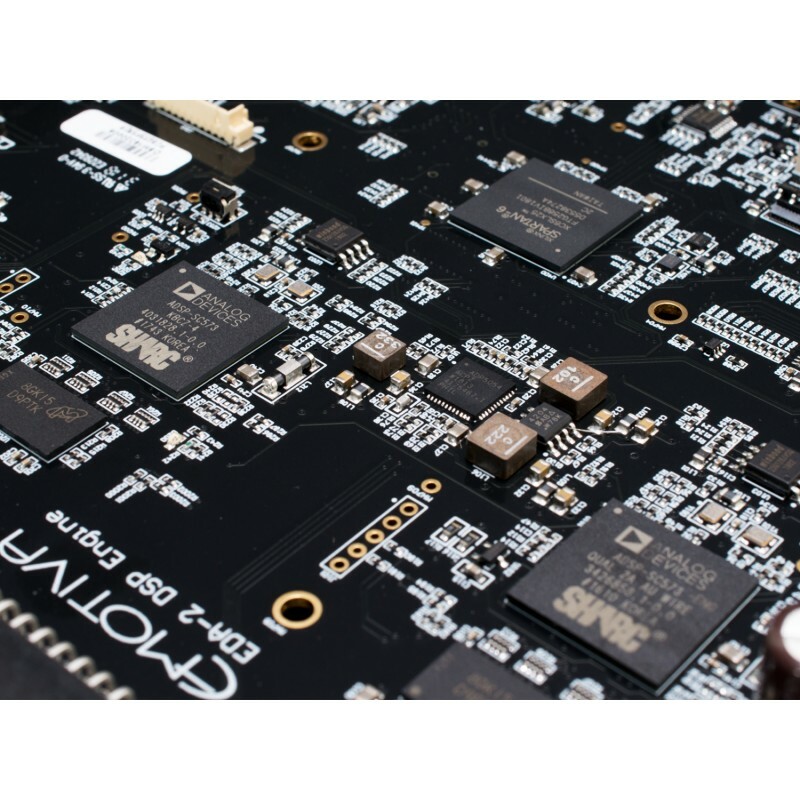 To make all this possible, we started by developing a whole new hardware platform, which combines powerful new cutting-edge processor technology with painstaking analog circuit design to deliver the best possible audio performance. Running on this hardware platform, our proprietary operating system powers the menu system and all of the advanced control logic. This new platform was first introduced to the public in our highly successful XMC-1. 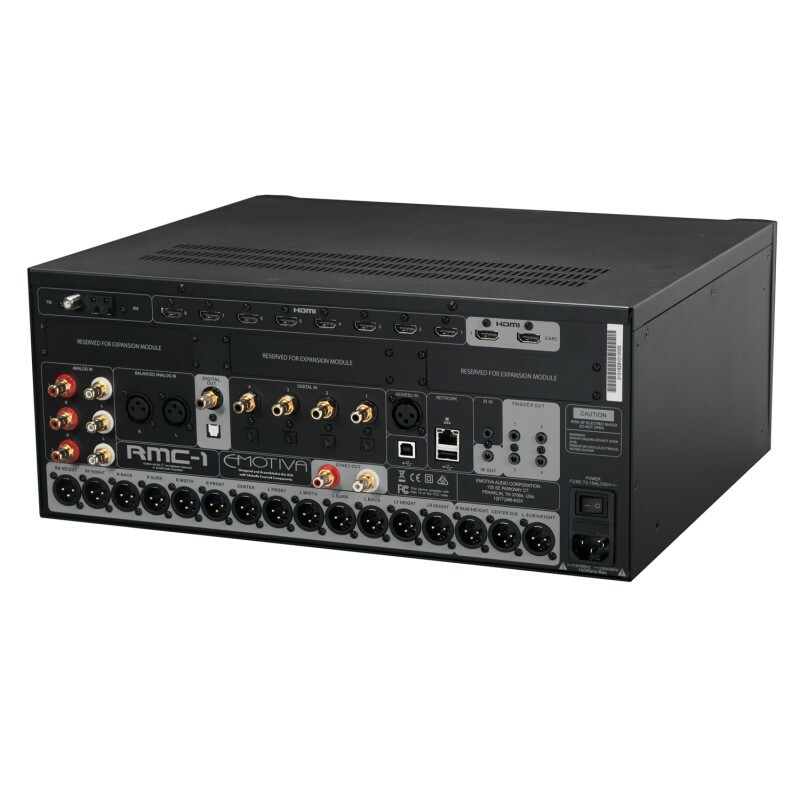 The RMC-1 takes this technological innovation to the next level, with the latest 4k HDR and Dolby Vision UHD video switching capabilities, improved audio decoding and processing, the latest digital to analog conversion hardware, more channels to fully support the latest object oriented surround sound formats, and even more room for future expansion and upgrades. The RMC-1, the ultimate expression of our new design philosophy, is finally ready to be unveiled. The XMC-1 eliminated many of the compromises and expanded the boundaries around what was possible for home theater and surround sound. 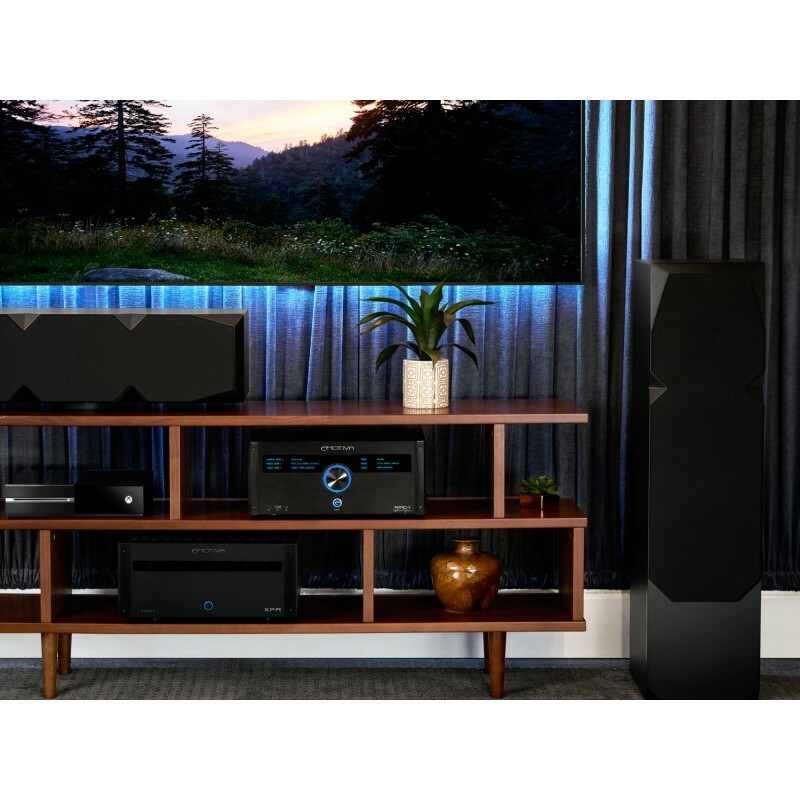 The RMC-1 takes it to the next level… and is the perfect way to start building a truly state of the art home theater, surround sound, and audiophile stereo music system. Designed first and foremost to deliver superb sound quality. Fully balanced Reference Stereo signal path. Highest quality audio decoding for the latest Dolby Atmos and DTS:X object oriented surround sound formats. Highest quality audio decoding for high resolution surround sound formats like Dolby TrueHD and DTS-HD Master Audio. 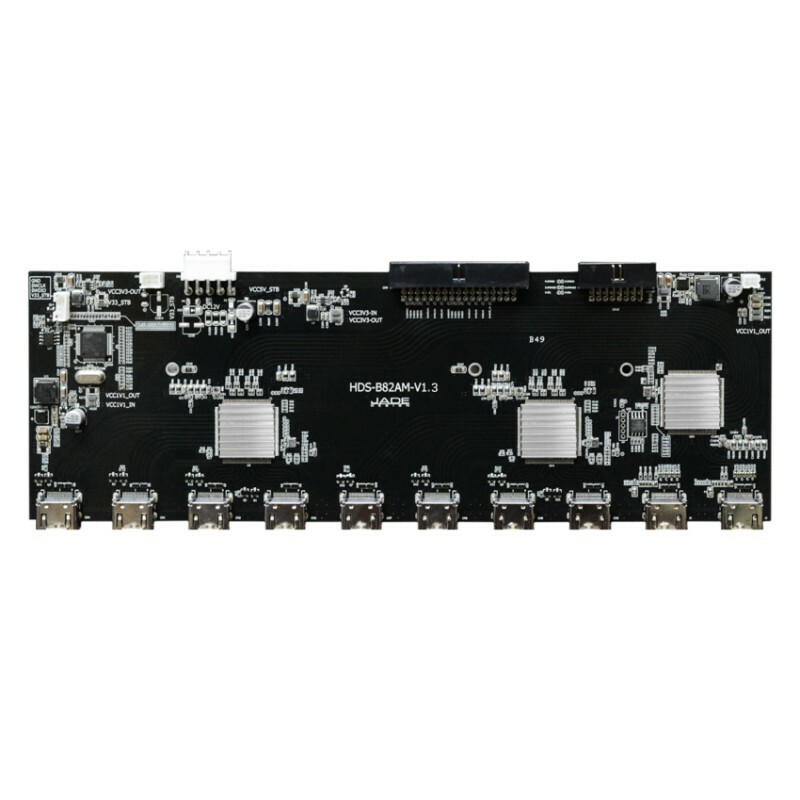 Support for stereo and surround sound PCM digital audio via HDMI. Native support for stereo and surround sound DSD digital audio via HDMI, and for both single-rate and double rate stereo DSD audio via USB. AKM5572 Verita ADCs on analog inputs. Exclusive Dirac Live™ for Emotiva automatic room correction system (coming soon). Hardware based ASRCs (asynchronous sample rate converters) between DSP stages for extremely high jitter immunity with digital audio sources. High performance digital AM/FM tuner. 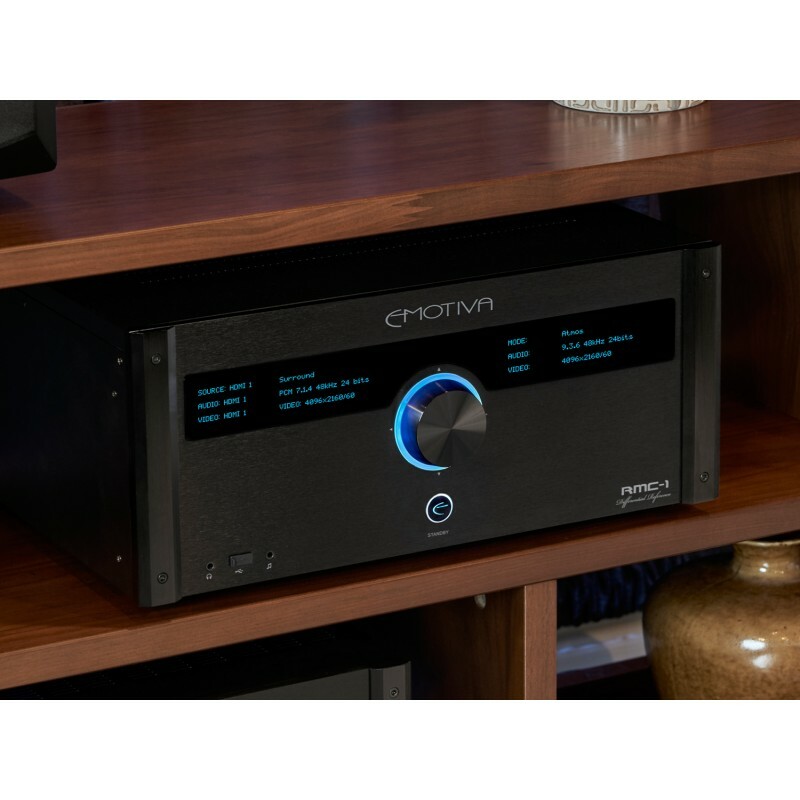 Supports an extremely wide variety of audio sources, including HDMI audio, analog audio, AM and FM radio, digital S/PDIF and USB PCM audio, and both single and double-rate DSD digital audio. Support for up to three separate subwoofers, with independent level, distance, room correction, and EQ settings for each. Advanced bass management with fully independent crossover settings for each speaker group. Two sets of fully independent 11-band manual parametric speaker EQ settings. Global Bass and Treble controls with user-selectable turnover points (independent from more complex EQ settings). User selectable true Fletcher-Munson loudness compensation. The RMC-1 will automatically detect how the audio on each source you play is encoded and select the optimum mode to use to decode it. Decoded audio will then be optimized for your unique system configuration. All automatic processing modes can be manually overridden temporarily, and default modes can be reconfigured to suit your listening preferences. 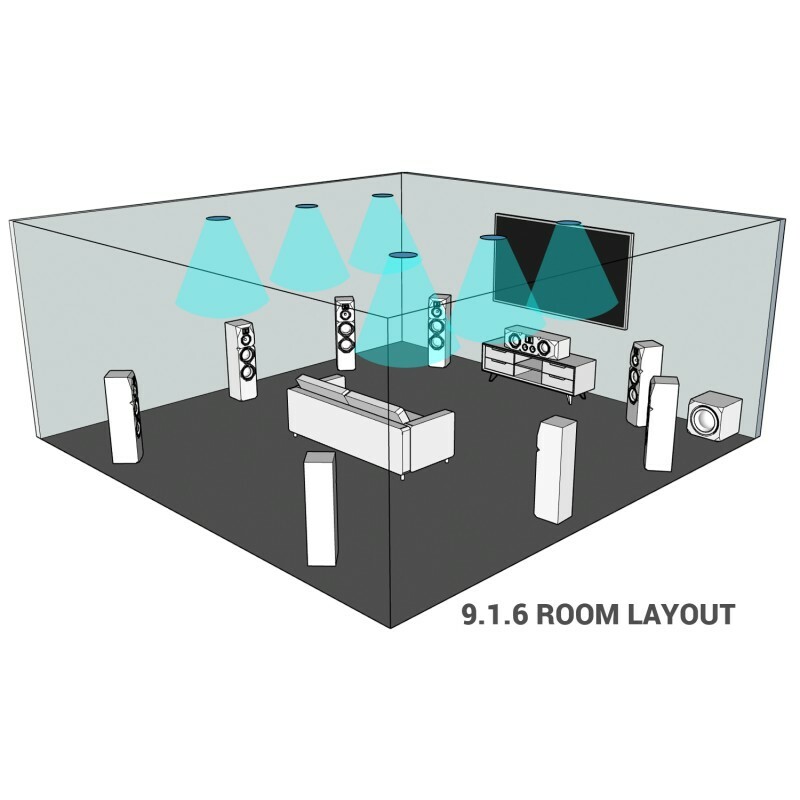 Support for the latest surround sound audio decoding options: - Dolby Atmos (up to 9.1.6). - Dolby TrueHD (up to 7.2). - Dolby Digital Plus. - Dolby Digital. - DTS:X (up to 7.1.4) - DTS-HD Master Audio. - DTS-HD High Resolution Audio. - DTS 5.1. - Stereo and Multi-Channel PCM. 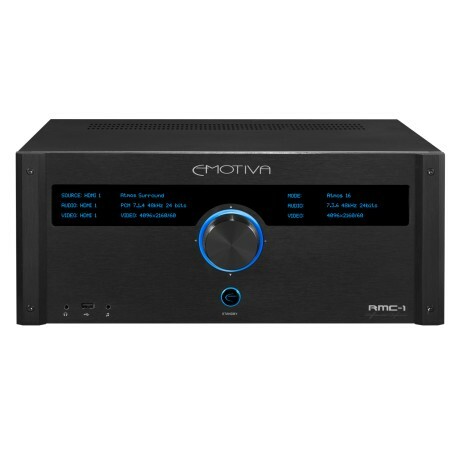 - Stereo and Multi-Channel DSD. Support for the latest digital post processing modes: - Dolby Surround. - DTS Neural:X.
ARC (Audio Return Channel) and CEC support on primary output. 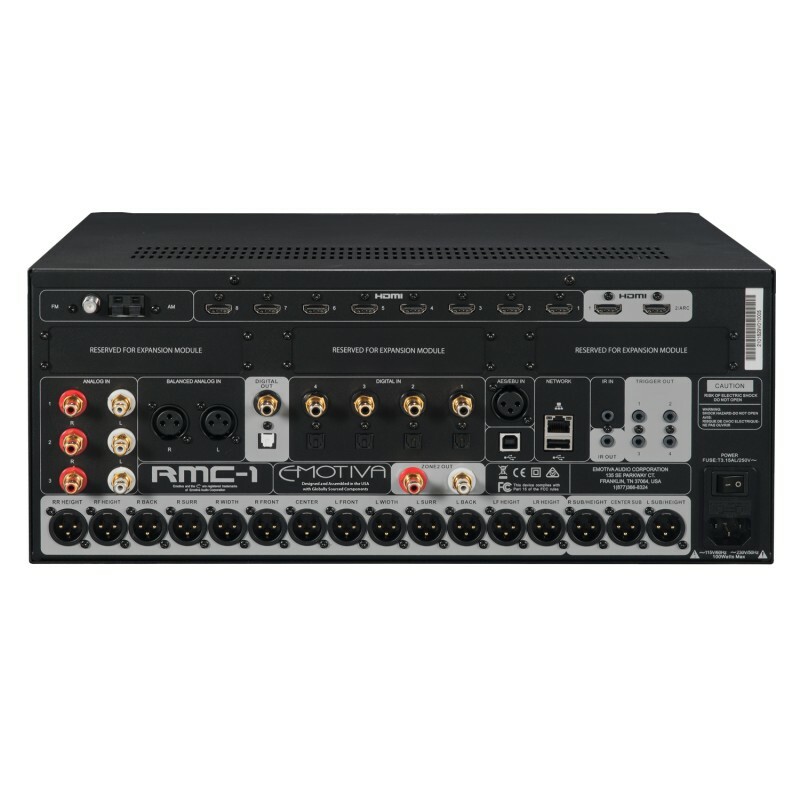 The RMC-1 is a pure video switch; video inputs are routed directly to the appropriate output without any unnecessary processing. Video switching is provided by three Panasonic MN864788 High Speed LSI 4k UHD Video Switches. Unique Video On Standby option allows both audio and video to be routed directly to your display when the RMC-1 is turned off. This allows you or other family members to use your monitor to watch cable or TV shows while your main home theater system is turned off. Front panel control via unique multi-axis encoder, which combines a precision rotary encoder and a sensitive four-quadrant joystick type controller. 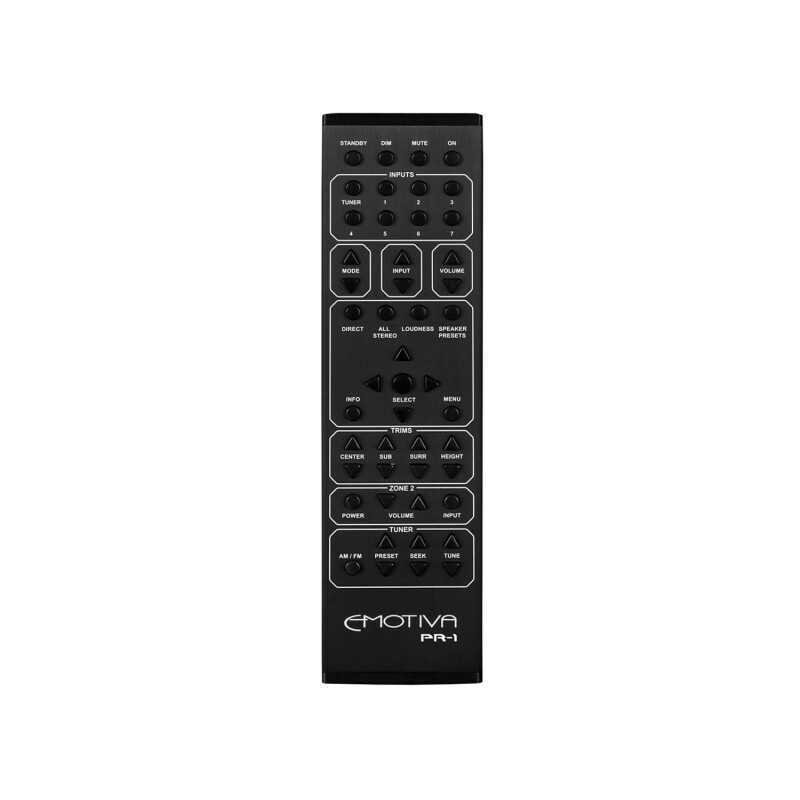 Full sized machined aluminum infrared remote control with discrete buttons for HDMI input selection, trim adjustments, and other major functions. Remote control apps - available for Apple and Windows computers and Android phones. Integration with universal infrared remote controls and popular infrared and network operated whole-home control systems. 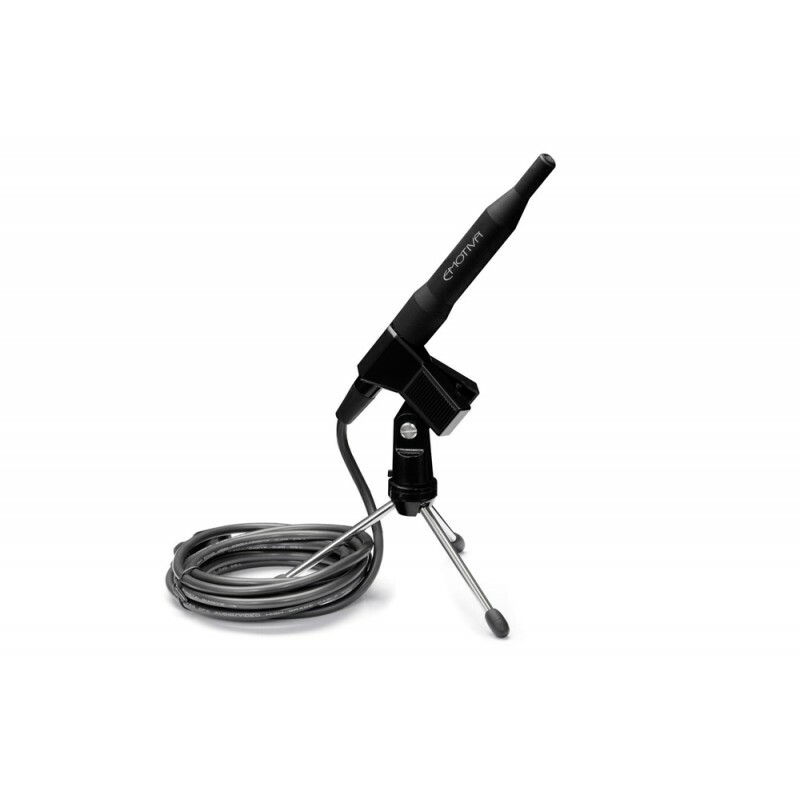 Four flexible Trigger Outputs can be independently configured to activate amplifiers or other trigger-enabled equipment.